Always insightful information about processes, including projectplanning, inventory, purchase, accounting, invoicing and working hours registration. Check and interprete important and up to date business-information. The actual status and recent use of machines and installations is essential management information for almost every business. The Cortecx concept enables you to view and interprete all kind of signals of your machines and installations, very easy and at all times via internet. 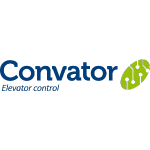 All our elevator controls share status-information continiously via internet, which makes preventiv maintenance and a live malfunction-analysis very simple and clearly visible. 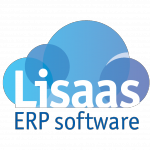 With Lisaas ERP software all processes (including projectplanning, inventory, purchase, accounting, invoicing and working hours registration) are linked and brought together in a way that everybody granted, at any time and any place, can check and interprete important and up to date business-information. Our lift-control continiously shares actual status-information via internet, which makes preventiv maintenance and malfunction-analysis very simple. Only well-availble standard but high quality components are being used in our Convator. This enables a short time delivery when needed. The actual status and the recent use of machines and installations is very essential and important management information for almost every business. 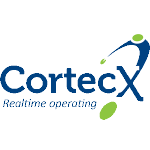 Our Cortecx concept enables you to visualize and interpret all kind of signals of your machines and installations, at all times and always ‘live’ information via internet. © Lipronics 2019. Transcend theme by CPOThemes.